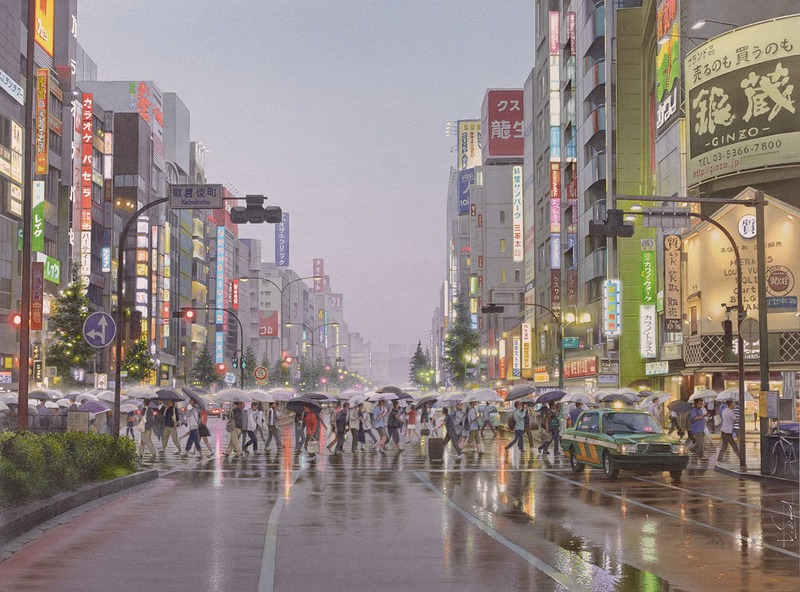 Evgeny Lushpin – collection of the artist. Title: Evening in Annecy. Date: 2015. Materials: oil on canvas. 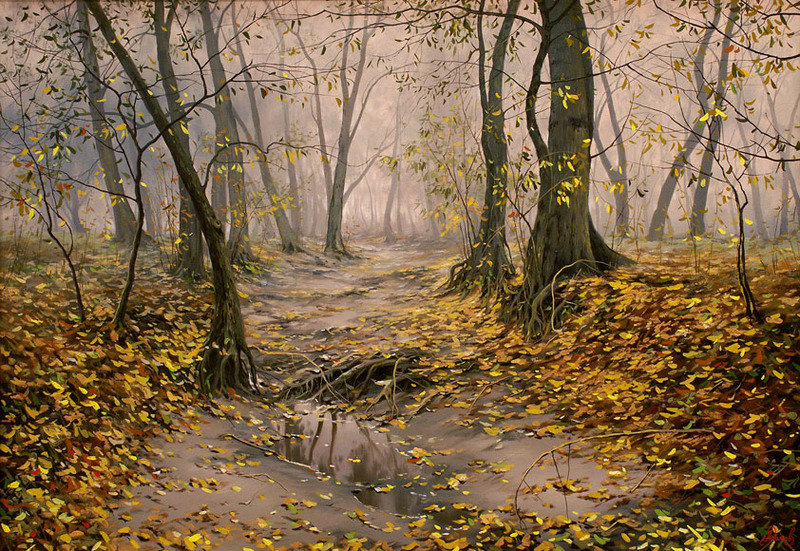 Dimensions: 61 x 97 cm. 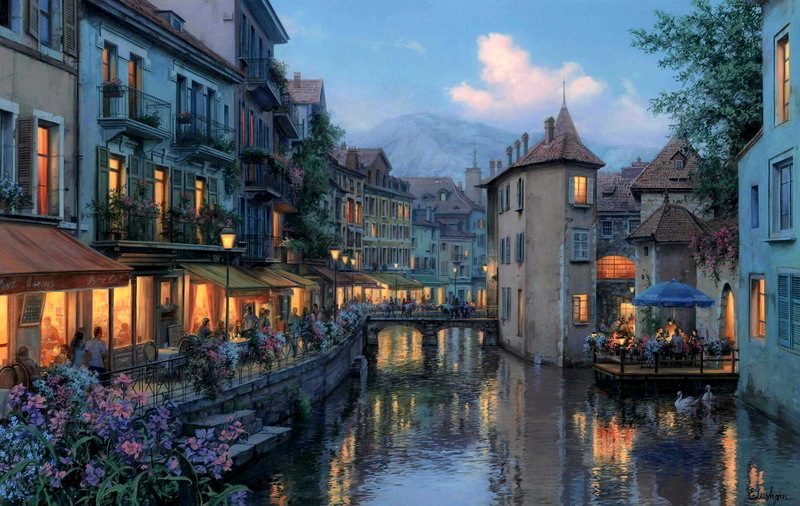 Source: http://lushpin.com/uploads/picture/image/Evening_in_Annecy.jpg. I have changed the light and contrast of the original photo. 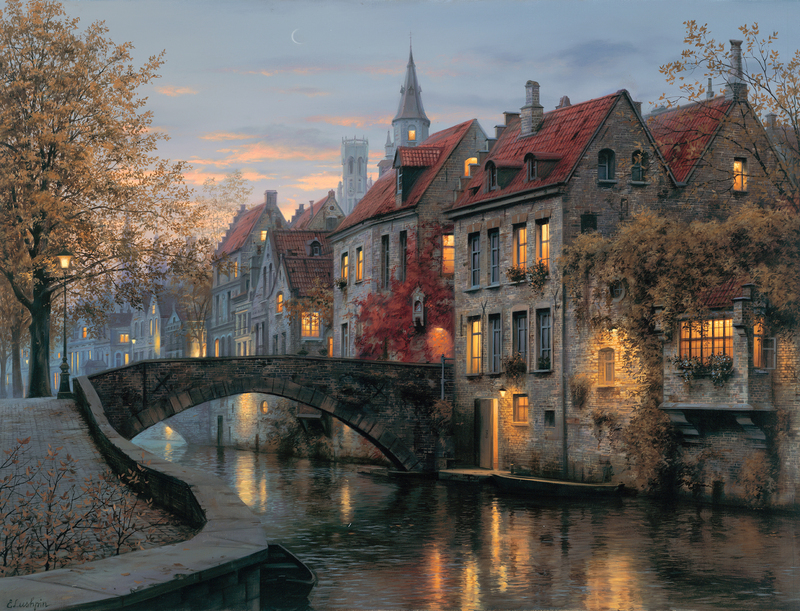 Evgeny Lushpin – collection of the artist. Title: Silent Evening. Date: 2014. Materials: oil on canvas. Dimensions: 66 x 86.4 cm. 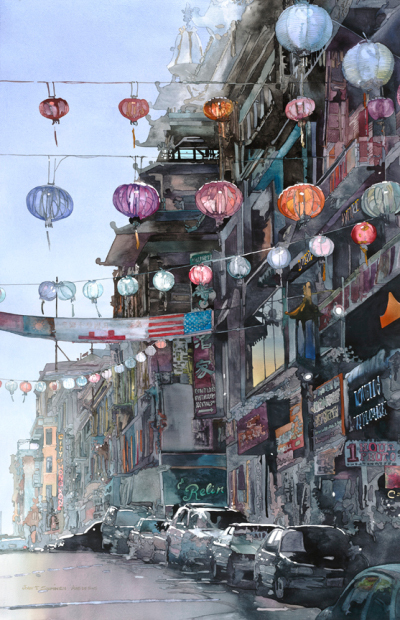 Source: http://lushpin.com/works/47. Thierry Duval – collection of the artist. Title: L’homme à la valise dans la mousson de Tokyo. Date: 2015. Materials: watercolor on paper. Dimensions: 75 x 55 cm. Source: http://www.aquarl.free.fr/images/20150904193711_tokyo.jpg. Materials: oil on canvas. Dimensions: 28 x 52 in. or cm. 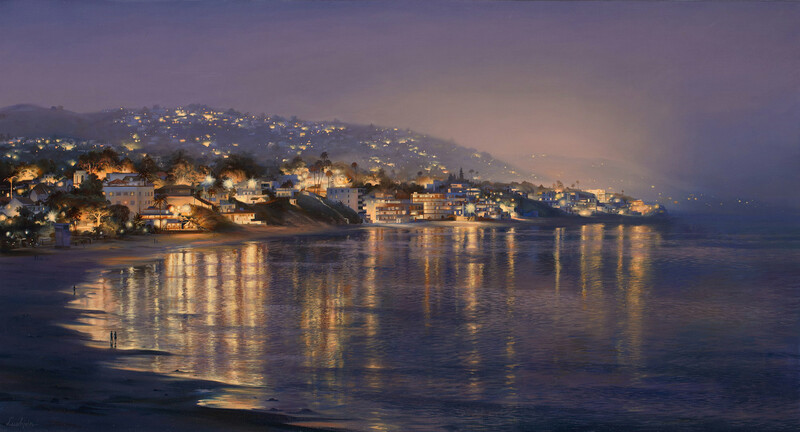 Source: lmgostinaja.ru/wp-content/gallery/luchpin_2/3laguna-beach…. Materials: oil on canvas. Dimensions: 22 x 37 in. or cm. Source: wallsdl.com/wp-content/uploads/2012/06/evening-journey-ev…. Materials: oil on canvas. Dimensions: 25 x 35 in. or cm. Source: s017.radikal.ru/i435/1111/1e/fdc5f8b6a471.jpg.